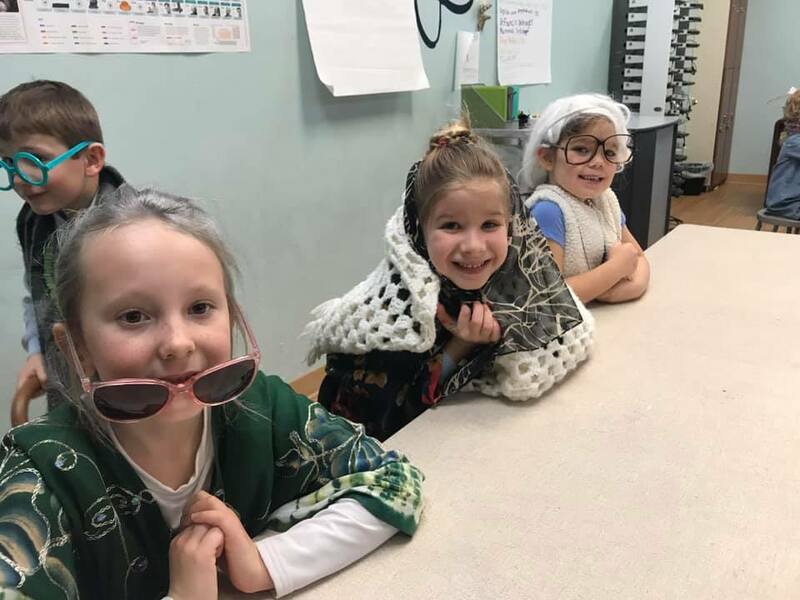 Kindergarten students led by their teacher Miss Meghan Ryan celebrated 100 days of school looking truly advanced in age on Tuesday, January 22nd. 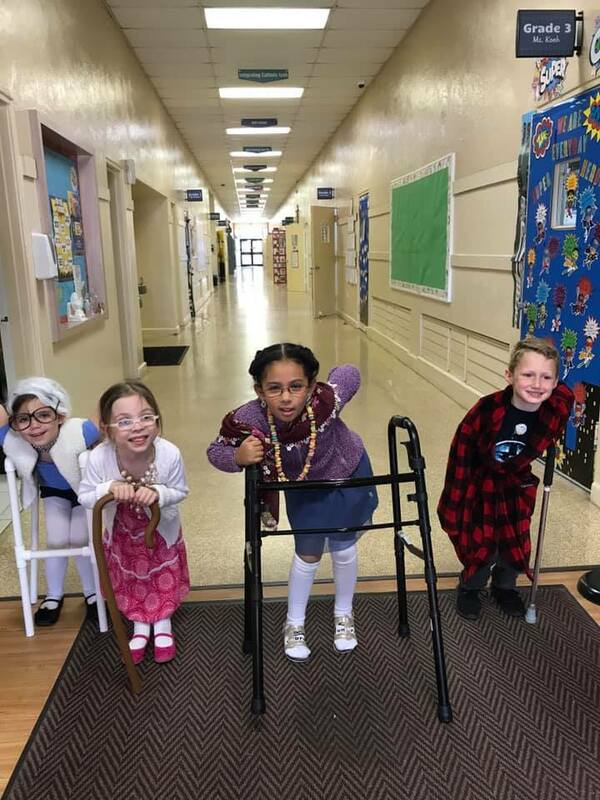 The children said that ‘It’s so cool to look old!” Some of them dyed their hair gray, wore curlers and reading glasses while some came with walkers and canes. It was a fun day to celebrate 100 days of school and honor the elderly. Go Eagles!